This blog entry brought to you the word of the day: emotional rollercoaster. OK, that’s two words, but you get the point. Today was our last day of camp. It started by introducing the campers to the Great American Polar Bear swim. They didn’t quite get the concept since I’m guessing they’ve never seen a polar bear. Of course we are in Central America in the middle of summer, so the weather not winter-like and the water not freezing, but they had a great time doing a 6:30am swim in the lake. We had abbreviated sessions this morning to fit everything in our half-day of camp. Each station allowed the Nica kids to pick their favorite thing from the week to do for the last day. Then we brought them all back together for our closing assembly where I shared a little challenge and prayer of blessing over them and then showed our end-of-camp slideshow. The kids loved seeing themselves on the big screen. Our last gift to them was to give them the backpacks we brought down that were loaded down with school supplies, toys and some personal hygiene items. We went from smiles and excitement to tears as the realization that the bus was on the way. What an emotional day for all of us. God really allowed us to develop relationships with these kids and it was very difficult to say goodbye. We shared many hugs, exchanged tears and also prayed over the kids before we sent them on their way back to Las Parcelas. They were so excited to hear, though, that we will see them again soon when we go to their community for some construction projects and also to meet their families. 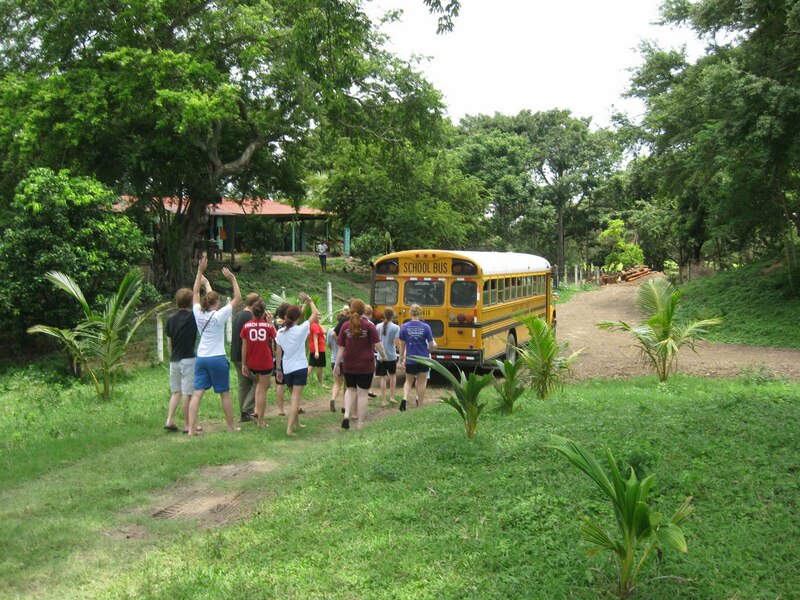 But we finished off in true Campo form by chasing the bus down the driveway to say our goodbyes. God truly answered our prayers in such a huge way with this year’s Campo. He moved in power in all of our hearts and we are grateful! On our return to the Buzbees, we stopped by Granada and the Catarina viewpoint. These are two historic (and very touristy) areas of Nicaragua. Granada is a colonial town that survived many of the bombings and wars in Nicaragua’s history. It is known for it’s beautiful architecture and friendly atmosphere. It was a good break for us prior to returning to hit the ground running again tomorrow. We aren’t exactly sure what the Holy Spirit has in store for us personally or for our team to accomplish the remainder of this mission, but we are excited to follow His leading. Please continue to pray for our team and the work God has for us.